Frozen Toddler Girl's Cross Training Athletic Shoe On Rollback For $13.88 + FREE Store Pickup (Reg. $15.87)! You are here: Home / Great Deals / Frozen Toddler Girl’s Cross Training Athletic Shoe On Rollback For $13.88 + FREE Store Pickup (Reg. $15.87)! Frozen Toddler Girl’s Cross Training Athletic Shoe On Rollback For $13.88 + FREE Store Pickup (Reg. $15.87)! How darling are these!? I know my 6 year old will LOVE them! 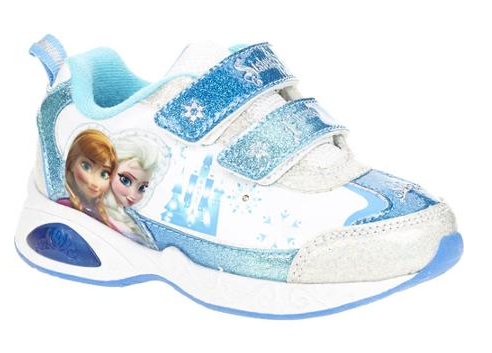 In fact, these Frozen Toddler Girl’s Cross Training Athletic Shoes are on ROLLBACK for only $13.88 + FREE Store Pickup (Reg. $15.87) if available in your area!